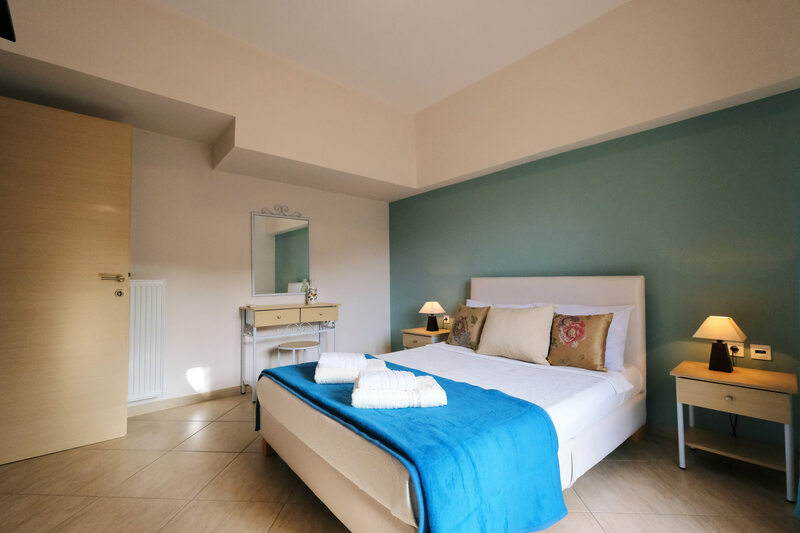 This apartment is the perfect choice for families with children or couples, offering the necessary privacy in the two bedrooms. 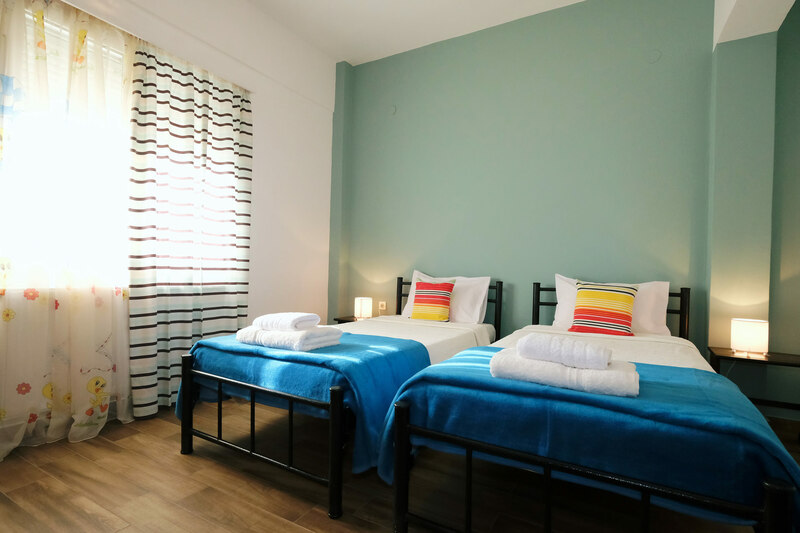 In the first bedroom there is a double bed and in the second bedroom two single beds. It also has an open-plan living and dining area. The apartment is located on the ground floor level. In the fully equipped kitchen (oven - hotplates - kettle and all the necessary utensils), you can make whatever you want, whenever you want it. 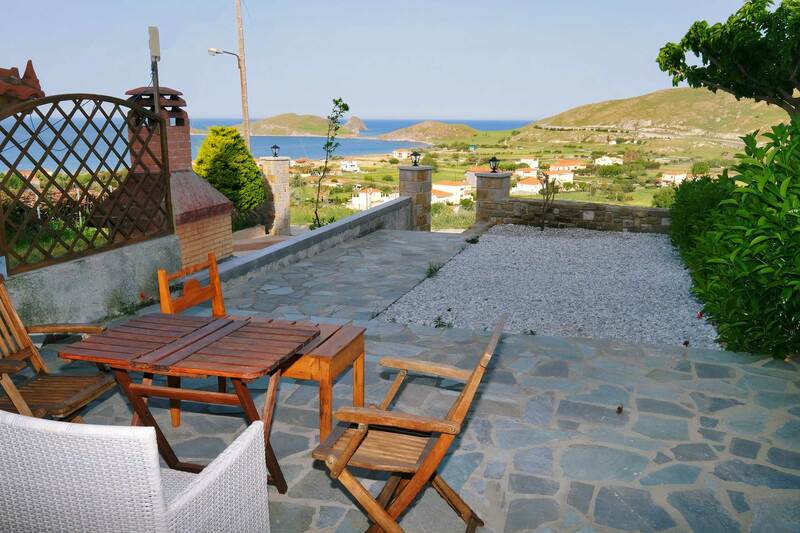 They have a private terrace with panoramic views of Platis Bay. In total, 4-5 people can be accommodated. There is the possibility of a play-room upon request.